For the parent article, see List of Doctor Who universe creatures and aliens. This is a list of fictional creatures and aliens from the universe of the long-running BBC science fiction television series Doctor Who, including Torchwood, The Sarah Jane Adventures, K-9 and K-9 and Company. It covers alien races and other fictional creatures, but not specific characters. Individual characters are listed in separate articles. Note that some information on the page is taken from spin-off media. Alien creatures, nicknamed "Abzorbaloffs", that can absorb any living thing into its body by touch and then digest the organism; one said Ursula Blake "tasted like chicken". The faces of its prey are visible on its body and are fully conscious of their surroundings. They are from the planet Clom, the twin planet of Raxacoricofallapatorius, the home planet of the Slitheen family. An Abzorbalovian disguised itself as "Victor Kennedy" and infiltrated LINDA – a group of people trying to track down the Doctor – although it planned to absorb the Doctor's knowledge. But Elton Pope broke its cane, which was a limitation field that kept its absorbing abilities under control. Without the protecting field, the Abzorbaloff was absorbed into the Earth. The Adipose are aliens composed of living fat, featured in the episode "Partners in Crime" (2008). Their breeding world, Adipose 3, was lost, causing them to turn to "Miss Foster", or Matron Cofelia of the Five Straighten Classabindi Nursery Fleet, Intergalactic Class, to create a new generation. She formulated a drug that would cause human fat (adipose tissue) to morph by parthenogenesis into Adipose children. The process is generally harmless to the host beyond the loss of body fat; but in emergencies the process can be accelerated, converting the host's entire body, which is fatal to the host and produces ill and weak Adipose children. The Shadow Proclamation. forbids seeding, or breeding aliens, on a level-5 planet such as Earth. Level 5 means pre-warp capabilities, as said in "Partners in Crime." According to the "Captain Jack's Monster Files" webcast about the Adipose, the children have been made wards of the Shadow Proclamation, implying that the Adipose First Family have been sentenced for their crimes. In the parallel universe created in "Turn Left" (2008), the Adipose incident happened in America instead of the United Kingdom, as London was destroyed when the Titanic crashed into Buckingham Palace because of the absence of the Doctor ("Voyage of the Damned"). Over 60 million Americans (roughly 20% of the total population of the United States) were killed in this timeline as a result. In "The Stolen Earth" and "Journey's End" (2008), it is revealed that the breeding planet, Adipose 3, was one of the 27 planets relocated to the Medusa Cascade by the New Dalek Empire. After their defeat, Adipose 3 and the other planets were returned to their original positions. In The End of Time (2009–10), an Adipose is shown in a bar along with other aliens the Tenth Doctor had previously encountered. Five Adipose action figures were released as part of the first series 4 wave. Aggedor is the Sacred Royal Beast of the planet Peladon, where its spirit is worshiped. The real creature upon which the legend is based is a large, hairy beast with a single horn. Hunted to near extinction, one Aggedor beast roamed the tunnels below the citadel and, at one stage, was used to judge prisoners who were cast into a pit to face the Judgement Of Aggedor (The Monster of Peladon, 1974). A hermaphroditic hexapod from Alpha Centauri which, being effectively genderless, is referred to as "it" as opposed to "he" or "she". It is tall, green, has one large blue eye, six arms, and a high-pitched voice; it wears a long yellow cape and walks with a nervous gait. It is prone to cowardice and hysterics. The Bane, in their natural form, are large tentacled aliens with one eye. They appear in Invasion of the Bane (2007) and Enemy of the Bane (2008). They exhibit some level of mind-reading abilities. Bane Mothers are particularly large, and are known to eat members of their young who fail them. They are able to appear human through the use of image translators. The Bane sought to enslave mankind by getting them addicted to the soft drink, Bubble Shock!, which contained an organic Bane secretion that would take control of its human host when activated. Mrs Wormwood headed the Bane's disguised human front and created the Archetype, Luke. In Torchwood: Miracle Day, The Blessing is revealed to be an antipodal geological formation connected to the Earth's morphic field running from Shanghai and Buenos Aires. Jack Harkness theorises that it may have been caused by the interaction of Racnoss Huon particles and Silurian hibernation matrixes, though its origins are unknown. The Families are unsure of whether or not to classify the Blessing as alive, though it is stated to have a degree of sentience. One of its features is that it has the ability to show approachings human the content of their own souls, which has caused some to commit suicide, others to find conviction. The Mother believed that this reaction was a result of the Blessing attempting to communicate with the human race. In "The Blood Line" (2011), it is revealed that the worldwide immortality investigated by Torchwood was a result of Jack's blood being introduced to The Blessing's morphic field. It is implied that this was a result of the Blessing interpreting The Families' interference as a threat, and the subsequent immortality being a gift of kindness to humanity. Jack and Rex (who has been infused with Jack's blood) manage to reset the Miracle through exposing it to Jack's (now mortal) blood at each end of the Blessing. But the Blessing does not reset everything back to the way it was and, perhaps as a result of the presence of Jack's blood, brings Rex back as also immortal. An otherwise-unnamed humanoid bipedal alien blowfish features in "Kiss Kiss, Bang Bang" (2008). The blowfish, played by Paul Kasey, holds part of Captain John's puzzle box. It is possible that the blowfish was known to John. Overcome by Earth's pleasures, the blowfish takes cocaine, steals a sports car and takes a teenage girl hostage, only to attract the attention of Torchwood and the local media, thus leading to its eventual demise. A young blowfish appears in the episode "Fragments" (2008), in flashback sequences involving Jack's first mission for the Torchwood Institute, during which Jack captures the fish for committing various crimes but is outraged when it is shot after being captured. A blowfish and two other fish-like creatures appear in the Torchwood Magazine short story The Book of Jahi. The blowfish has taken on the name Mr. Glee and has been operating as a crime boss in Cardiff for some time. The blowfish appeared in "The Pandorica Opens" (2010) as part of The Alliance formed to trap the Doctor. An inanimate stored Blowfish appears in Hedgewick's World of Wonders in the series-seven episode, "Nightmare in Silver" (2013), visited by the Doctor and Clara. A translucent humanoid who possessed the body of a 19th-century prostitute named Mary was encountered in the episode "Greeks Bearing Gifts" (2006). She was a member of a race which communicated exclusively via telepathic pendants, and claimed to be a political exile, sent to Earth by a teleporter now in Torchwood's possession. At one point, "Mary" calls herself Philoctetes, in reference to his exile on Lemnos. She gave her telepathic necklace to Toshiko, and seduced her into letting her into Torchwood to regain the teleporter. On arriving on Earth in 1812, the alien killed her guard and possessed Mary. In this form she needed to consume human hearts to maintain the host's youth, taking one a year. "Mary" threatened Tosh in order to regain the teleporter and Jack exchanged it for Tosh. However, Jack had reprogrammed the coordinates, sending "Mary" into the center of the Sun instead of back to her homeworld. In The Sarah Jane Adventures story Invasion of the Bane (2007), Sarah Jane Smith helps an alien of the same race to find its way home. It is later revealed that this alien was a "star poet", from Arcateen V, who gave Sarah Jane a device via which she promised to help her with her poetry whenever she needs it. Mr Smith's Alien Files on the official The Sarah Jane Adventures website described her race as Butterfly People. The Butterfly People are also referenced in the novel Something in the Water (published March 2008) where they are called "Arcateenians". Like all Torchwood spin-off media, its canonicity in relation to the television series remains unclear. "Mary" possessed strength large enough to shatter human bones in a manner resembling a gunshot and could move at superhuman speeds, also possessing acute senses able to notice that there was something different about Jack. The poet alien in The Sarah Jane Adventures was able to fly home with some assistance from Sarah Jane Smith. "Mary's" opinions of her human form seemed to be mixed: she disliked watching people talk using conventional speech; which was considered archaic on her home world, but she said she liked the body which she found "so soft, so wicked". She also expressed a dim view of human nature, considering humans to be a race who inherently desired to invade others. A letter to Doctor Who Magazine noted "Mary"'s strong resemblance to Destrii, a companion from the magazine's Eighth Doctor comic strips. The magazine's editors concurred with the observation. Later, The Torchwood Archives by Gary Russell specified that Destrii and Mary are from the same system. Destrii's home planet Oblivion along with Devos, Krant and Arcateen IV, V and VI form the Arcan system. The Arcateenians are mentioned in the audio book The White Wolf, when Ben remarks that the Arcateenians could have helped them get home. The Carrionites appear in The Shakespeare Code. They reappeared, this time with the Sixth Doctor, in the audio drama The Carrionite Curse. "The Catkind" are felines in the future that have evolved into humanoids. They are capable of interbreeding with the humans of the future. The CatKind have hair-covered bodies, feline facial features and retractable claws. Their young resemble typical domestic kittens, with humanoid features emerging after ten months. 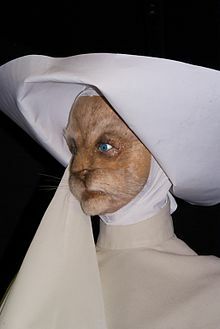 In "New Earth" (2006), a group of The Catkind called the Sisters of Plenitude ran a hospital near the city of New New York. In "Gridlock" (2007), a Cat Person, Thomas Kincade Brannigan, has a human wife and a litter of kittens. The Chelonians are a race of cybernetic humanoid tortoises who have appeared in various spin-off novels. They are a war-like race from the planet Chelonia. They are hermaphroditic and lay eggs. Some of their cybernetic enhancements include X-ray vision and improved hearing. The first appearance of the Chelonians was in the Seventh Doctor Virgin New Adventures novel The Highest Science by Gareth Roberts. They returned in Zamper and also featured in the Fourth Doctor missing adventure The Well-Mannered War, as well as in the short stories The Hungry Bomb, Fegovy, and The Body Bank, all by Gareth Roberts and published in, respectively, the Doctor Who Magazine Yearbook 1995, the anthology Decalog 3: Consequences, and the Doctor Who Storybook 2008. They are also mentioned in the New Adventures books Oh No It Isn't! and Beyond the Sun, featuring Bernice Summerfield. River Song listed the Chelonians amongst the races with fleets orbiting Earth in "The Pandorica Opens". Chelonians consider humans to be parasites and often try to eliminate them. There is a pacifist faction, however, and at some point following the Doctor's recorded encounters with them, that faction took control and their society began devoting its energies to flower arrangement. Cryons appear to be an all female race (reproducing by parthenogenesis) who cannot exist at temperatures above zero degrees. They are tall, slim, pale and lean, with long fingers and fingernails and enlarged craniums covered with a whitish membrane. They move slowly and have echoing voices. The Cryons had advanced refrigeration technology, and lived peacefully in huge refrigerated cities until they came to the attention of the Cybermen who attempted to wipe out the Cryons in order to steal their refrigerated habitats. Unknown to the Cybermen some Cryons survived. They kept a secret base under Cyber-Control but it is unclear whether or not they survived Control's destruction. The original Cybermen were a race of humanoids originating on Earth's twin planet Mondas. As they implanted more and more artificial parts into their bodies as a means of self-preservation, they became coldly logical and calculating, with emotion all but deleted from their minds. The Cybermen also have a rivalry with the Daleks. In "Rise of the Cybermen"/"The Age of Steel" of the second revived series, the Cybermen originate on a parallel-universe version of Earth, where they were created by John Lumic, a genius obsessed with immortality. He forcibly 'upgraded' vast numbers of people in the parallel earth before a counter-revolution, initiated by the Doctor, started fighting back. The Cyberman concept was created by Dr. Kit Pedler (the unofficial scientific advisor to the programme) and Gerry Davis in 1966. Their first appearance was in the serial The Tenth Planet. They have since been featured numerous times in their efforts to conquer and convert humanity to cyborgs like themselves. A race of humanoids from the planet Dæmos. Their appearance is that of classic demons, because Earth's notion of demons derives from them. They are not exactly evil, but have a morality much different from humans, and have no qualms about doing humans harm. A warlike race of mutant creatures who live within mobile battle armor. They are lifelong enemies of The Doctor, and he is the only being whom they fear. They are bent on destroying all life forms in the universe other than themselves. The creatures themselves resemble squid, with a single eye, exposed brain and many tentacles. They first appeared in the 1963 serial The Daleks, the second Doctor Who serial. A Dalek puppet is a living or dead creature that has been partially converted into a Dalek by Dalek nanogenes. Puppets normally retain their original appearance but, in humanoids, when activated can extrude a miniature Dalek eyestalk and gunstick—in; the eyestalk coming from the forehead and the gunstick from the hand. If needed, the subject's pre-puppet memories can be accessed. Victims can be brought back to their senses by repeated insults to their character, such as the Doctor gave Tasha Lem. Time Lords cannot be converted into Dalek puppets. Demons have appeared in Doctor Who several times, the first being in Third Doctor serial The Dæmons (1971); there, they were specifically aliens from the planet Dæmos who had come to Earth in the distant past, with their existence becoming ingrained in myth. The "demon" Azal was summoned by the Master's will for ill purposes that the Doctor, with the literally vital aid of Jo Grant, was able to block. In 2006, both the Tenth Doctor series of Doctor Who and its spin-off Torchwood expanded on the possibility of actual malicious supernatural entities existing in the Doctor Who universe. "The Impossible Planet" introduced the Beast, a Satan-like demon remaining from the universe before our own, sealed in planet Krop Tor by the "Disciples of Light". Later, in the Torchwood episode "End of Days"', the villainous Bilis Manger freed "Abaddon, son of the great Beast" from within the Rift, where he, like the Beast, had been imprisoned since "before time". Manger had schemed to ensure Abaddon's freedom, manipulating the Torchwood Three crew. Bilis refers to Abaddon as his "god". Abaddon killed all those who fell in his shadow; he devoured life. Captain Jack attempted to sacrifice himself by using his immortality to destroy the demon when it tried to absorb too much, leaving Jack dead for days but causing the monster to choke to death. It is also referred to in Series 2 of Doctor Who by the Ood in the episode "The Impossible Planet" in terms of Beast's various aliases: "Some may call it Abaddon." The Draconians (also called Dragons, a derogatory term) are a humanoid race encountered in the 26th century. They have tall, pointed heads with prominent brows, pointed ears, and patches of scaly skin. Common interstellar travel and attempts at colonization have brought them into frequent and occasionally hostile contact with humans, leading to a treaty establishing a frontier between the two empires. The Draconians are very intelligent, honorable, and at least as advanced as their human counterparts. They have appeared only in the Third Doctor serial Frontier in Space (1973). The Doctor mentioned that he arm wrestled with one at some point. The Eminence is a gestalt entity which exists as a brown gas which suffocates humanoid life forms before possessing them and turning them into deathless footsoldiers for its army. Its first appearance was in the Sixth Doctor Audio Adventure The Seeds of War. It has since been present throughout the Dark Eyes series featuring the Eighth Doctor, which explored its origin and final defeat after the Doctor was forced to ally with the Daleks, and has featured in the Fourth Doctor audio play episode Destroy the Infinite (which served as a prequel to Seeds). A race that never exceeds unlucky number 13; it is composed of one Golden Core and 12 Fendahleen. The Fendahl arose on the original fifth planet of our solar system, which they eventually wiped of all other life; so dangerous were they that the Time Lords moved the planet into a time loop. Somehow, though, the Fendahl managed to eject a skull, which passed through space (seriously harming life on Mars as it passed) to land on Earth, where its powers helped shape humanity, a new vessel for the Fendahl. Ages later, that skull was found by scientists, who believed it could grant them power; the attempt unfortunately backfired in the creation of a new Golden Core. The Core began creating Fendahleen, but one person committed suicide, preventing the Fendahl from reaching the quota. The Fourth Doctor blew up the house the Fendahl were in, and later tossed the skull that caused the trouble into a supernova. The Fendahl also appear in the Doctor Who novel The Taking of Planet 5, when a group of Time Lords from the Future War (a war that the Eighth Doctor had learned would be waged between the Time Lords and an unknown Enemy in his personal future, distinct from the Time War of the modern series) attempted to break the time lock around Planet Five to unleash the Fendahl to use it as a weapon in the war, only to unleash a creature described as the Maemeovore, a devourer of concept that had evolved to prey on the Fendahl itself as time inside the lock was accelerated, the Eighth Doctor only just managing to banish the Maemeovore out of the universe. They are set to return in the Torchwood audio Night of the Fendahl. The Foamasi are an intelligent, bipedal race of reptiles resembling humanoid chameleons; they appeared in the 1980 Fourth Doctor story The Leisure Hive, by David Fisher. The race's name is a near-anagram of the word "mafioso". The Foamasi fought and won a 20-minute nuclear war with the Argolin. They communicate by means of chirps and clicks, translated by an interpreting device held in the mouth. Although they became mostly a peaceful race from having learned the error of their ways from the devastating war, a renegade faction called the West Lodge exists and frequently attempts to revive hostilities between the two races. After their victory, the Argolin's home planet of Argolis was officially owned by the Foamasi government. Two saboteurs from the West Lodge tried to force the Argolins to sell them the Leisure Hive, so they could use it as a new base. They were thwarted by a group of Foamasi, one claiming to be a member of the Foamasi government, who used a web-spewing gun to ensnare them and return them to their home planet. Some Foamasi disguise themselves as humanoids by fitting into skin-suits which are smaller than the Foamasi's own bodies. A Foamasi assassin appears in the Eighth Doctor Adventures novel Placebo Effect by Gary Russell. In this novel, it is explained that the Foamasi can fit into disguises smaller than their bodies because their bones are hollow and collapsible. The Gelth appeared in the Ninth Doctor episode "The Unquiet Dead" (2005). They were a new race of alien villains that the Ninth Doctor and Rose Tyler encountered in the 2005 series. They were the first element of the new series that attracted attention for being "too scary". Following complaints, many of which were made by Mediawatch UK, the BBC stated that in future, episodes of that nature would be forewarned by a statement of "may not be suitable for under 8s". The Gelth were blue gaseous life-forms. They claimed to have lost their corporeal forms as a consequence of the Time War, though later actions by the Gelth put the truth of this statement in doubt. They arrived on Earth via the spacetime rift at an undertaker's house in Cardiff in 1869. Their forms could not be maintained in Earth's atmosphere without suspension in a gaseous medium, so they inhabited the gas pipes common to Victorian era households. Further, though, they also would take possession of recently deceased corpses. When possessing corpses, they look much like ordinary humans (provided that the corpse has yet to enter the autolytic stage of decomposition), with only two fundamental differences: their irises vanish or turn white, and blue veins are clearly visible on their ghastly pale skin. Gelth make an unearthly shrieking noise for an unknown reason, particularly when they've possessed someone. Claiming to be on the verge of extinction, the Gelth convinced the Doctor to aid their entrance to Earth via Gwyneth, the undertaker's servant girl, who had developed psychic powers due to growing up near the rift. The Gelth actually numbered in the billions and intended to take the Earth by force, and to use its murdered population as vessels for themselves. The Gelth were thwarted when Gwyneth sacrificed herself, blowing up the building and sealing the rift. Whether all the Gelth that came through the rift perished is unclear. In "Army of Ghosts" (2006), Rose asked whether "ghostshifting" Cybermen might have been Gelth, which the Doctor stated was not the case. In "The Unicorn and the Wasp" (2008), Donna Noble compared Agatha Christie being surrounded by murders to meeting Charles Dickens at Christmas while he's surrounded by ghosts. The Tenth Doctor gave a "Well..." to a disbelieving Donna; Charles Dickens was with his previous incarnation and Rose when the Gelth attempted to attack at Christmas, and the gaseous form of the Gelth could lead to their being classed "ghosts". A Graske is a member of a race of diminutive aliens from the planet Griffoth. They can transmat through time and space to abducting individuals out of their own time and replacing them with a Graske. Disguised Graske can be identified by a green glow that sometimes appears in their eyes. They first appeared (in the form of an unnamed Graske) in the interactive short Doctor Who episode Attack of the Graske (2005). Krislok, a Graske, who appeared in The Sarah Jane Adventures episodes Whatever Happened to Sarah Jane? (2007) and The Temptation of Sarah Jane Smith (2008). A henchman and slave of the Trickster, who the latter saved from death, Krislok later gained his freedom. Unnamed Graske appear in the Proms special episode "Music of the Spheres" (2008) and in a space bar scene in The End of Time (2009–10). Groske look like Graske but are blue; they also talk like the Graske. They first appeared in Death of the Doctor (2010), where they were seen working for UNIT. One of the Groske later saves Clyde, Rani, and Santiago. Groske can detect artron energy (claiming it "smells"), and they dislike the Graske. The two powerful entities in charge of keeping balance in the universe. Neither may become directly involved in the affairs of the universe, but either may choose agents to do his bidding (the White Guardian chose the Doctor, while the Black Guardian chose the Shadow and Vislor Turlough). Spin-off media has revealed that there are six Guardians overall; White, Black, Crystal, Red, Bronze and Gold, with the other four representing Dreams, Justice, Equilibrium and Life respectively. The novel Divided Loyalties identifies the Doctor's old foe the Celestial Toymaker as the Crystal Guardian of Dreams, but the other three have not explicitly appeared in any media yet. ^ Writer Russell T Davies, Director James Strong, Producer Phil Collinson (5 April 2008). "Partners in Crime". Doctor Who. Cardiff. BBC. BBC One. ^ "The Monster Files". BBC. 5 April 2008. Retrieved 7 April 2008. ^ "www.torchwood.co.uk – News Report". BBC. 16 January 2008. Retrieved 17 January 2008. ^ "Operation Lowry: Notes from Owen". Torchwood.org.uk. Archived from the original on 3 December 2007. Retrieved 8 December 2011. ^ 10 December 2011 5:35pm – 6:25pm. "The Sarah Jane Adventures – Mr Smith". BBC. Retrieved 8 December 2011. ^ Hawden, James (31 January 2007). Clayton Hickman (ed.). "DWMail". Doctor Who Magazine (378): 9. ^ Russell, Gary (2008). The Torchwood Archives. BBC Books. ISBN 978-1-84607-459-2. ^ Plunkett, John (14 April 2005). "Doctor Who 'too scary', say parents". The Guardian. Retrieved 17 December 2011. This page was last edited on 18 April 2019, at 16:47 (UTC).